If you’ve ever pedaled a bicycle or used a knife to cut up something in the kitchen, you may have benefitted from vanadium. Vanadium is an element that’s often used to create alloys that are both strong and durable. You’ll find traces of vanadium in things like bicycle parts and knives. It’s also commonly used by those manufacturing steel as an additive that is capable of preventing steel from cracking. Here are some other interesting facts about vanadium. Vanadium was originally discovered way back in 1801 by a professor in Mexico City named Andrés Manuel del Rio. He discovered it while evaluating the mineral vanadinite and sent a letter about how he did it to the Institut de France. Hoever, his letter was lost because of a shipwreck and del Rio was unable to prove his discovery later. Vanadium was then discovered again by a Swedish chemist named Nils Gabriel Sefstrôm in 1830. He did it after inspecting iron samples that were found in a mine in Sweden. It’s named after an Old Norse goddess. Since Sefstrôm was widely credited with discovering vanadium, he was given the opportunity to name it. He chose to name it after the Old Norse goddess Vanadis, who was usually associated with fertility and beauty. It can be found in more than 60 minerals. 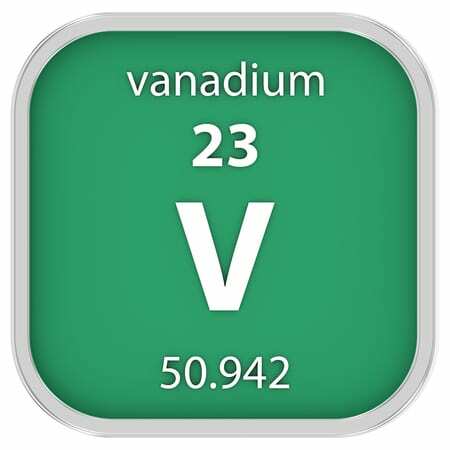 You won’t find vanadium as a free element in nature very often. But you will find it in a range of different minerals. Vanadium has been found in vanadinite, magnetite, patronite, carnotite, and more. Most of the vanadium in the world originates from three countries. The majority of the vanadium that is found every year is obtained by taking crushed ore and heating it up while it’s in the presence of chlorine and carbon. This produces something called vanadium trichloride that is then heated up with magnesium after being placed into an argon atmosphere to create vanadium. Almost all the world’s mined vanadium ore comes from either China, Russia, or South Africa. Although vanadium is relatively rare, Eagle Alloys can help companies get their hands on it. We can produce custom finished parts made using vanadium or provide you with vanadium rods, sheets, plates, or wire. Call us at 800-237-9012 today to learn more about vanadium.